Junior guard Sug Sutton shoots over Baylor guard DiDi Richards. Sutton and senior guard Danni Williams each had 19 points in No. 12 Texas' 74-68 loss to No. 1 Baylor (photo by Jose Mendez/Horns Illustrated). AUSTIN, Texas — No. 12 Texas women's basketball head coach Karen Aston doesn’t believe in moral victories. 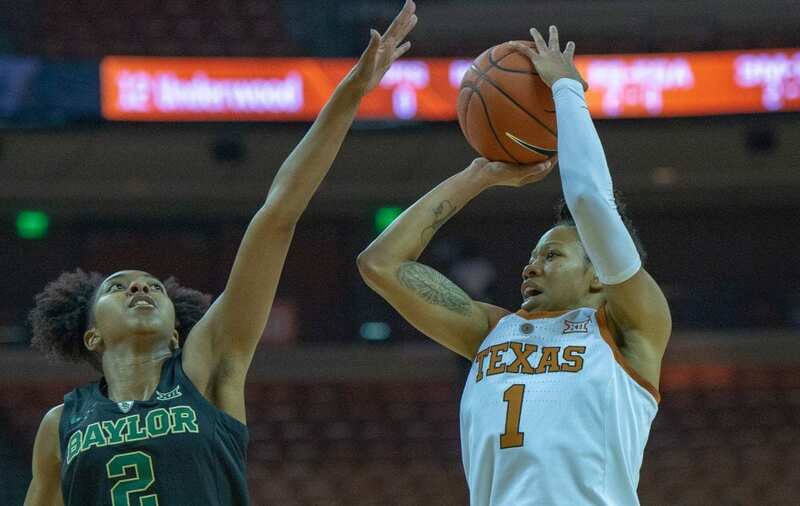 But the confidence, determination and grit that the Longhorns showed when they mounted a late comeback against Baylor, the Big 12’s perennial power and the current No. 1 team in the country, gives her optimism about how far this year’s squad has come since October and how far it could possibly go in March. In a game that easily could have ended in a blowout, Texas mounted a late comeback against the top-ranked Bears, only to fall short and eventually lose, 74-68, in front of a crowd of 5,393 Monday evening at the Erwin Center. 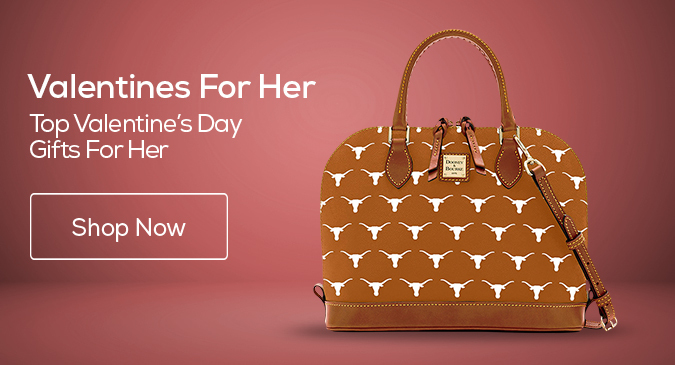 Down by 19 with 2:32 to play in the third quarter, the Longhorns (18-5 overall, 8-3 against Big 12 opposition) closed the gap to seven points with with 2:53 to play after senior guard Danni Williams scored eight straight points, including two three-pointers for the 'Horns. Texas closed to within four points of the Bears with 0:30 to play, but was unable to close the gap. Baylor coach Kim Mulkey said she noticed the Longhorns’ tenacity in the final minutes of the game, as well. "I don't really want to say (the Bears put it on cruise control), because I think that would take away from Texas," Mulkey said. "I don't want to take away from their effort in the fourth quarter. That effort they gave in the fourth quarter ... Lordy mercy — if they give it for four quarters, they're not going to lose many games." Sutton and Williams each scored a team-high 19 points. Sutton converted on 7-of-15 from floor and added six assists in 38 minutes. Williams, a graduate transfer who previously played at Texas A&M, connected on 7-of-13 attempts, including a 5-of-8 clip from three-point range, while also chipping in six rebounds and five assists. “The more and more games I play here, I’m just more comfortable trying to find my rhythm,” Williams said. The Bears (20-1 overall, 10-0 against Big 12 teams) were led by sophomore guard Moon Ursin, who had a career- and game-high 20 points, along with five rebounds and one assist, off the bench. At times it appeared like Ursin controlled the entire game as she scored points from a variety of spots on the court and picked up two steals. Both Aston and Mulkey pointed to offensive rebounds as a key to the game. Baylor had 17 offensive rebounds, compared to UT's four. Each team finished with 24 defensive rebounds. Baylor has won 19 of its last 20 meetings against Texas. Texas resumes play at 7 p.m., Saturday, Feb. 9 at Kansas in a game that can be seen on ESPN3.